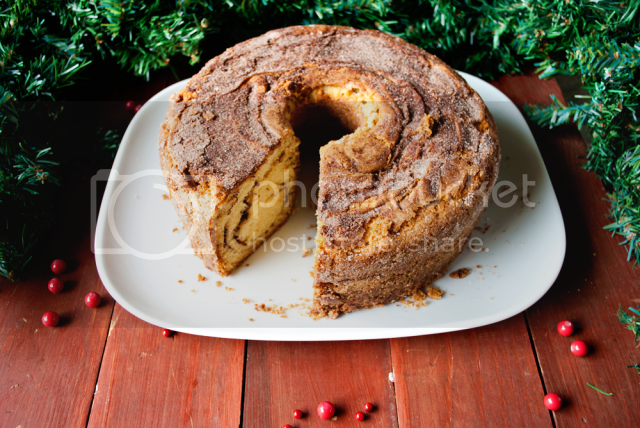 One of my favorite treats growing up was Jewish Coffee Cake. I would stand around watching Mom make it, just waiting for those batter-covered spatulas and bowls so I could lick them clean. And the smell of it baking…the aroma of cinnamon wafting around my nose and tickling me with delight. I couldn’t wait to dig into that cake. 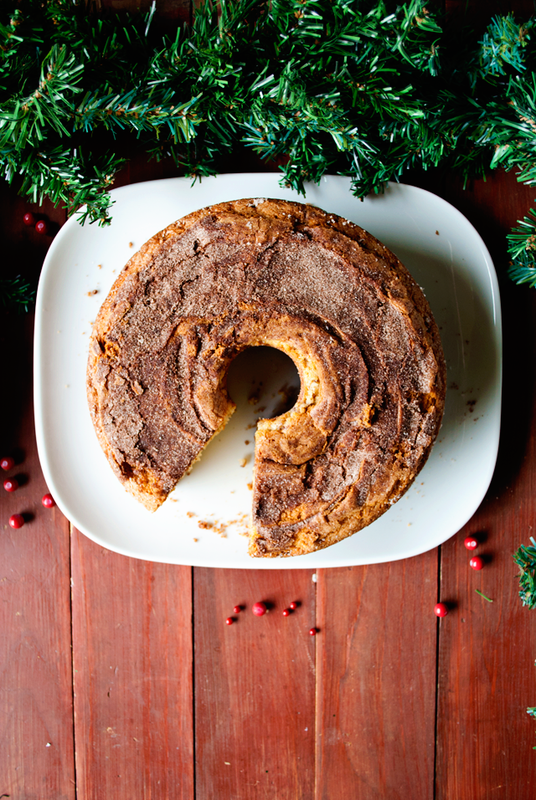 Jewish Coffee Cake is something we’ve been making in the family since before I was born. Unless Mom tells me otherwise, but I believe it is an old recipe. 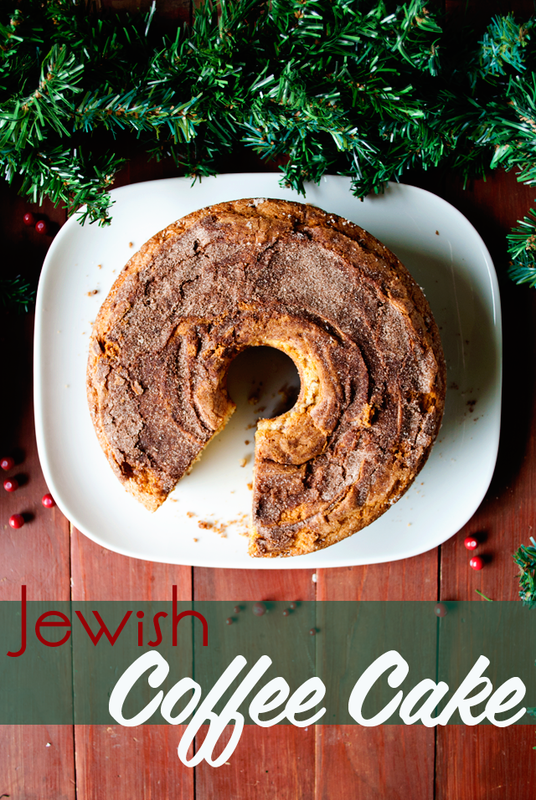 And don’t get me wrong, I am not in the least bit Jewish, and I honestly have no idea how it came to be called Jewish Coffee Cake, but it is what it is. I even tried to Google it and came back empty-handed. If you know, please tell me. Please. You might be wondering about the baking fail I mentioned in the title. Well. I’ve been making this coffee cake the same way for years now, and I thought on a whim that I would try something new. Like adding streusel topping. 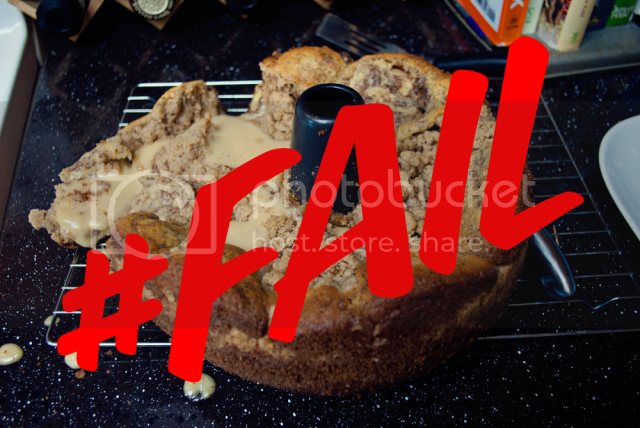 Needless to say, I made the biggest baking error by forgetting to adjust the cooking temperature to compensate for the added ingredients and the insulating effect the streusel has. So today I will give you the basic coffee cake recipe, which I should do first anyway, because it is so divine all on its own. 1| In a large standing mixer cream the shortening and sugar for a good 5 minutes. 2| In a separate bowl, combine the flour, baking soda and salt. 3| Add the milk to the shortening and sugar mixture and mix until fully incorporated. 4| Add the eggs, one at a time, mixing each one into the batter completely before adding the next. 5| Mix in the vanilla. 6| Pour the flour mixture into the batter and mix until just incorporated. 7| Pour 1/3 of the batter into a greased and sugared bundt cake pan, sprinkling the top with a thick layer of cinnamon sugar mix. Repeat two more times. 8| Bake in a 350 degree oven for 55 minutes, or until a toothpick inserted to the center comes out clean. 9| Cool completely and enjoy. One of the best tips I can give when working with baked goods is to not over-mix when you add the flour. Mix until everything is wet and then stop. Fight the urge to keep mixing. I know it’s hard, but put the spatula down. Why is this so important? Because of air. As you add flour, you are mixing air into the batter, and that air provides buoyancy. Buoyancy makes your cake soft, light and fluffy. Even the heaviest of cake needs it to survive. When you over-mix the batter, you beat out the air and end up with a dense, dry, tough cake. The only thing that saves a cake like that is a lot of frosting. 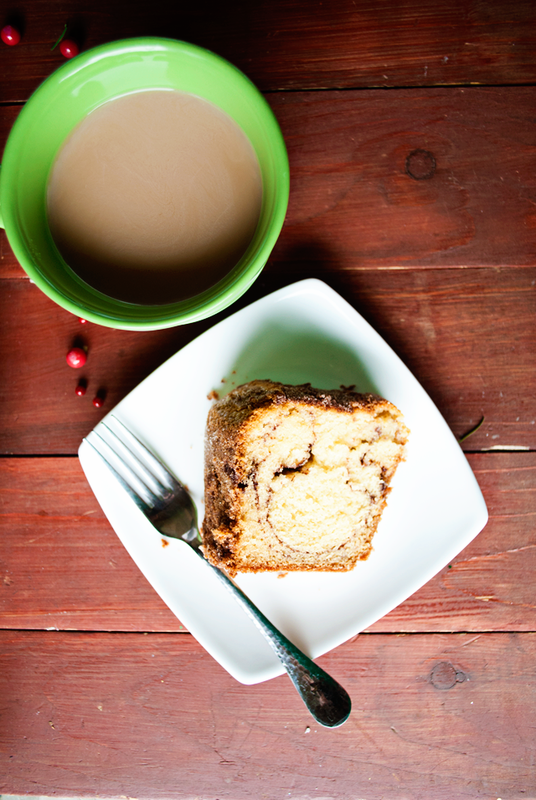 I hope you enjoy some Jewish Coffee Cake for breakfast some day soon. It goes perfectly with a nice cup of Joe. In case you didn’t catch the Coffee part of the name. this recipe looks amazingly good and easy. thanks so much for sharing! This looks amazing! The streusel topping sounds nice but it looks great just the way it is! 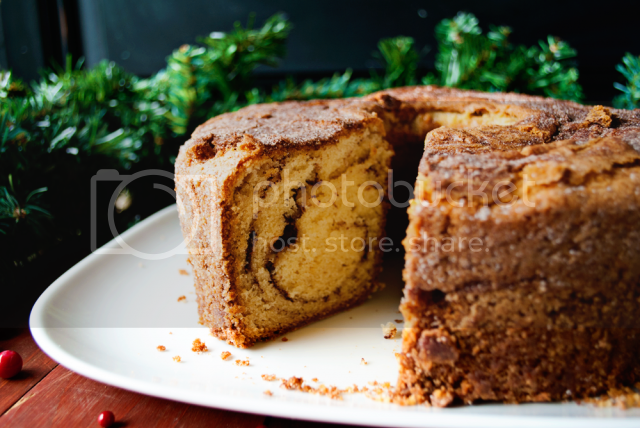 And if you ever find out why its called Jewish coffee cake.. let me know! I need to know now! Ha!Thanks for linking up to the Life of the Party! 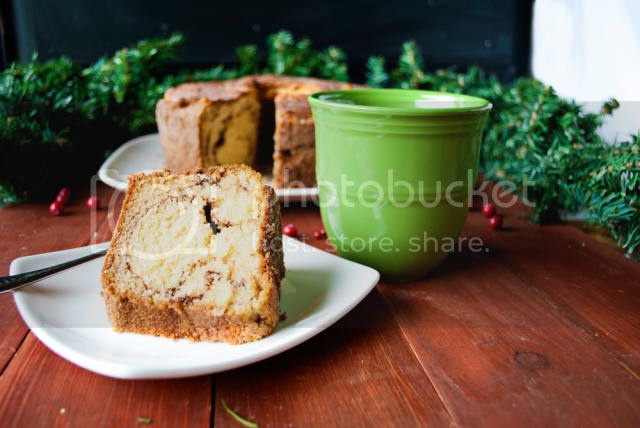 Im going to feature this in an "Easy Homemade Christmas Dessert" roundup tomorrow! Aww, thanks Kelley, you're a rockstar!